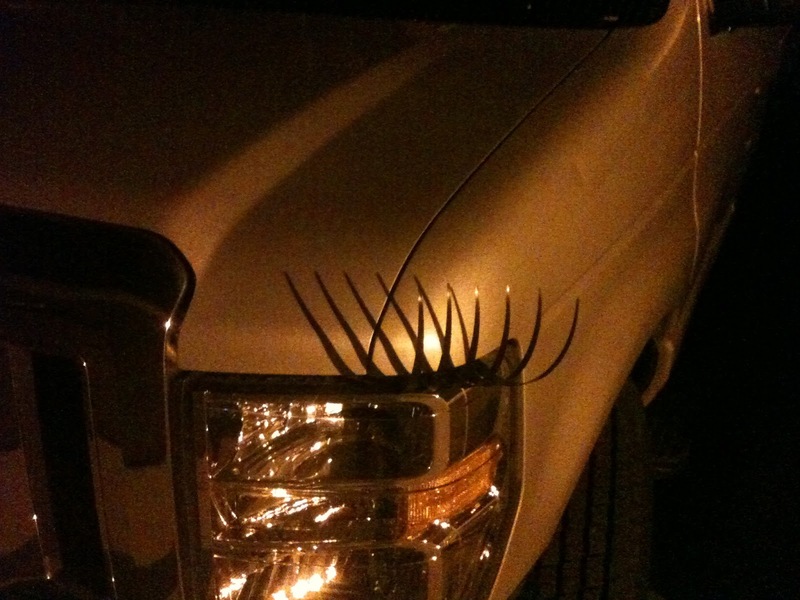 Each year, Spring Break arrives with its' car loads of college kids heading south for a booze-fueled week of frolicking and frivolity. So, why would two friends, both in the latter part of middle-age, and both nursing recent knee injuries hop in the car for two full days of travel, covering over 1000 miles through five states just to see two live music shows? Because...it's worth it! To paraphrase my companion on the journey "It's about the People, the Places, and the Music...and in that order!" (a turn of phrase he usually reserves for our fishing adventures ...but that's a whole novel of other stories). Since my last visit to Nashville, I've wanted to catch a show at the "World Famous Station Inn". The opportunity presented itself when Brent Truitt (mandolin player for the SteelDrivers) saw my SeMiBluegrass.com write-up of their performance at the Ark earlier this month and invited me to catch another show as his guest. So...when I saw the SteelDrivers were playing the Station Inn on Good Friday, and I was conveniently on Spring Break at that time, a hair-brained scheme was hatched and a road trip born. I was originally planning to drive down by myself, catch the show, find a place to crash, and drive back in the morning to see Samantha Fish live at Callahan's Music Hall back in Michigan. Yes, an all day drive for the SteelDrivers on Friday followed by an all-day drive back on Saturday for Samantha Fish. I like my bluegrass bluesy and my blues done electrified, funky and with soul, so this seemed like a perfectly reasonably idea. Fortunately, my good friend Victor got a "pass" from both his new bride and his orthopedic surgeon and agreed to join me on this adventure. Even being last minute on a holiday weekend, we were able to book a room at a reasonable rate at the Days Inn in Joelton (a no-frills motel, but convenient, clean with a very friendly and helpful staff) and hit the road early. We left promptly at 7:30am on Friday for the 9-hour trip to Nashville so we would have plenty of time to check into the motel, freshen up from the road, change clothes and go check out Lower Broadway before getting in line early for the show. Rumor had it that they sell out early and turn away more people than get in, so we wanted to get their by 6:00 or so. Our plan lasted exactly until noon...when a series of minor traffic accidents, a light rain, and holiday traffic combined to stretch our 9-hour trip into something more like 12-hours. We were forced to leave the highway, and old-school navigate via paper map to the hotel where we barely had time to change shirts and hit the road. Battling even more traffic, we drove directly to the Station Inn, arriving at 6:45 to a line stretching around the block, in the rain. We were 300 or so people back in the line and things were looking grim--we may have spent the whole day driving for naught. Lucky for us, I ran into Brent as he was unloading his gear at the side door of the venue and, true to his word, he invited Victor and I inside as his guests and arranged for us to site with his wife, son and assorted family members right in front of the stage. We thoroughly enjoyed not only the company (which was superb) but also the opening act, a county vocalist named Taylor Brashears. Her pure Nashville voice coupled perfectly with a hot band that included a drummer with the rare talent of playing tastefully under an acoustic band. Her guitar player took a vintage '63 Fender Jaguar and wrung the full five decades worth of passion, tone and soul out of it with a wonderful, full reverb, semi-surf-guitar sound. I suspect the world will be hearing more of this act. This appears to be a pretty good YouTube video of the band doing Louise (an original tune)? I also loved her rendition of Emmylou Harris' Two More Bottle of Wine done a bit up-tempo to really get the crowd primed for the main act. The SteelDrivers, loose and enjoying themselves! 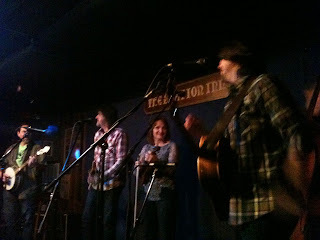 After seeing the SteelDrivers at the Ark (a pure listening venue) I was curious to see how their live show would translate to the Station Inn (their "home" bar and a somewhat looser and rowdier setting). Overall we got the same, professional, polished show with a good mix of songs off of their current album Hammer Down (which I am starting to prefer) and older material. I was immediately struck by the sense that the band seemed a lot looser and appeared to be really enjoying themselves. They put just a wee bit more passion in their vocals and instrumental breaks and a lot of energy into their onstage bantering and antics including a memorable riff on a Mellow Yellow bottle. The grins on their faces and sometimes even laughter during each others' breaks were contagious and got the whole crowd into the show. Perhaps the thing I love most in live music is when the audience can tell that a band is not only enjoying playing their music, but also genuinely enjoys being on stage with each other, and the SteelDrivers delivered this in spades! One noticeable aspect of a Station Inn show was apparent during the quieter/slower numbers; when the murmur, laughter and talking of the audience occasionally drowns out the band. It sometimes sounded like the band had dropped in on a bachelorette party, but...what do you expect in a bar setting where everyone is having a really good time? It didn't really detract from the show, just added some character to the evening. Even the toaster-oven, Chicago-cut pizza is pretty darn good (not quite as good as the Riverside Bar in Iron River, Michigan, where we ate pizza with our grandparents when we were kids, but that might be more a factor of inflated recollections of my childhood than actual quality of the pizza). 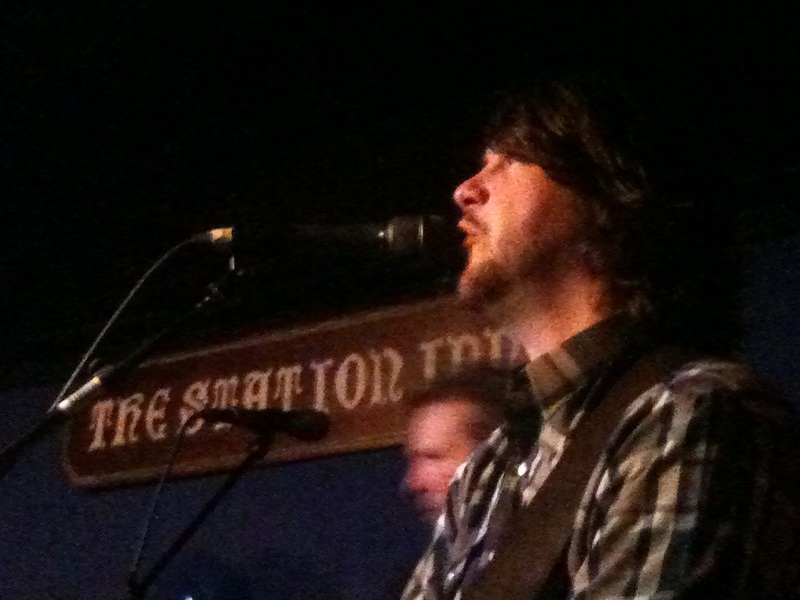 Overall, the Station Inn delivers what it promises, great live bluegrass music. I definitely need to catch more shows there (even if it is a 9 hour drive). After the show, Victor and I decided to head back to the motel where we partied like rock stars for 2 or 3 minutes and hit the hay for an early wakeup call and part two of our live music adventure. Our leisurely drive North took us only 9-1/2 hours (plus loosing an hour due to time zones) which put us at Callahan's Music Hall just in time to see a light-colored "band van" head out of the parking lot. The fact that it was wearing fake eyelashes over the headlights convinced me we were at the right place. As a member of the Marquette Area Blues Society I have had the great pleasure of meeting several amazing bands from the Kansas City area including Levee Town and Trampled Under Foot. 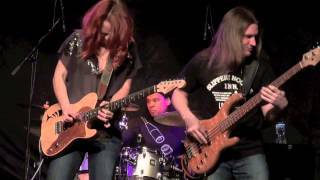 Without exception, they all say the same thing: "You have to check out Samantha Fish. She's amazing". Ms. 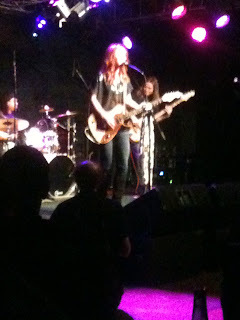 Fish has gained quite a bit of notoriety from the Girls with Guitars tour and I was eager to see her perform. I had a preconceived notion that she'd be yet another young gun guitar-slinger making a name for herself with one lightning fast lick after another. I could not have been more wrong, nor more pleasantly surprized. The Samantha Fish Band is a full-immersion trip into what a modern blues band should be. 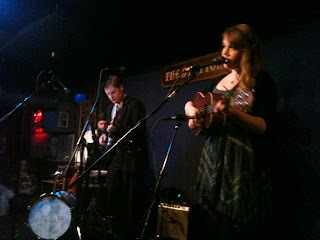 The set started off with a deep, swampy and dark number featuring Ms. 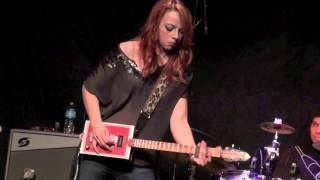 Fish on the cigar box guitar, which she plays with a brass slide to extract an incredibly rich tone. Here's a link to a really good "fan video" from the show with sound from Callahan's board so you can hear what I mean. I was immediately enthralled with her playing. However, I was much more enchanted with her vocal abilities. From soft and sultry to harsh and angry, she has a terrific dynamic range and sings with both soul and personality, a rare combination in female singers these days. While her sound is fairly traditional, straight-ahead blues, her facial expressions, head bobbing and distinctly feminine moves on stage give her a contemporary and funky edge that I really enjoyed. The Samantha Fish Band Gettin' Down! As much as I loved her slide work, when she picked up her Telecaster (well...a Telecaster inspired guitar from Delaney Guitars) her talent really shined. While fully capable of face-melting solos, it's her subtle rhythm playing under her vocal work that sets Samantha Fish apart from the rest. Unlike so many performers her age, she seems to understand that sometimes, "less is more" and that soulful licks and subtle pauses can add more to a song that one virtuoso lick after another. She also utilizes the dynamics of her voice to really sculpt songs, extracting tons of emotion and feeling from the lyrics. From catchy originals, to blues standards to some cool cover tunes (including covering Tom Petty, Tab Benoit and the James Gang), she pays respectful homage to the roots of the blues, and provides us a peek into what it's future can and should be. From quiet passages barely above a whisper to throaty soul-queen roars Ms. Fish takes the listener on a ride and keeps giving them more. A few times she even stops playing the guitar all together and punctuates her vocals with hand gestures, trusting her rhythm section to carry the groove for her. By the way, bassist Christopher Alexander and drummer Go-Go Ray are incredible talents in their own right. Under the leadership of Ms. Fish, the band is somehow greater than the sum of it's parts and truly delivers a professional and enjoyable experience to the audience. Once again, we were treated to a show where the musicians were having just as much fun as the audience. Between sets, and after the show, Ms. Fish chose ti forego a trip back stage to cool off and relax, instead choosing to mingle with the audience, sign CDs and talk to just about everyone in the bar. Everything about this young lady screams "class" and "professional". I am sure she will continue to be incredibly successful in what she does. 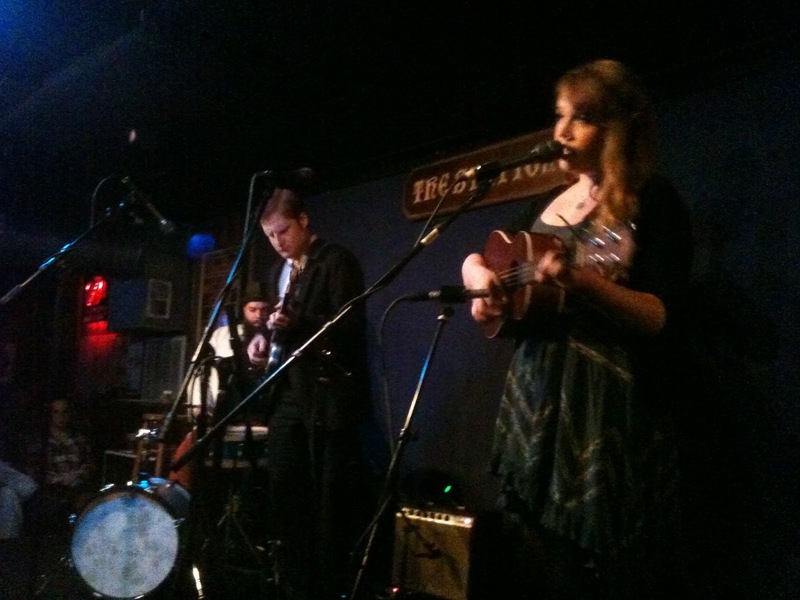 Both Callahan's and the Station Inn are well known for booking only the best in live music. However, both the SteelDrivers and Samantha Fish proved that, even if it requires some effort, it is possible to see the best of the best. So, was the 20+ hours and 1000 miles of driving worth it? You bet! Samantha summed it up best as we were leaving the club. She came over to say "goodbye" and asked us "are you the two guys who drove all the way from Nashville?" When we told her we were, she told us "You crazy F@#$%rs! ", gave us a little hug and sent us on our way, smiling! So...who's up for my next road trip?